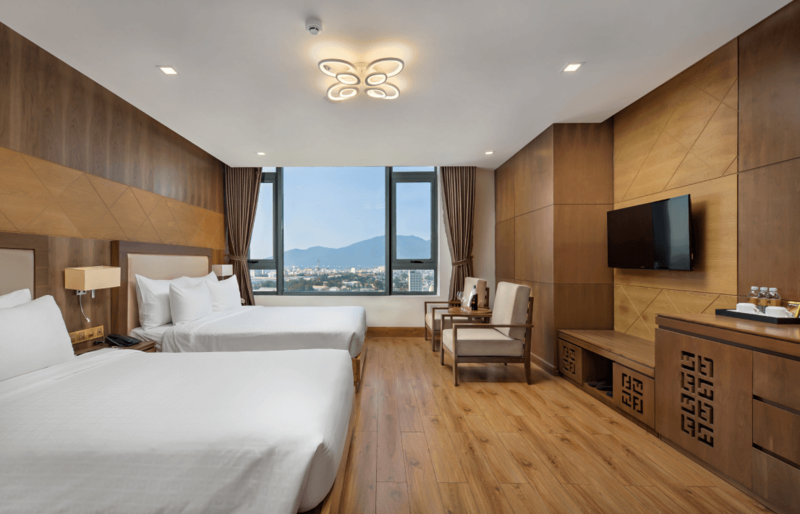 With over 90 rooms available from deluxe twin to family apartments or penthouse suites, quality facilities and thoughtful touches, we provides vacationers the finest Da Nang accommodation. Whether to reserve your energy to enjoy fun-filled vacations with families or for a productive meetings, our Guest Room gives the impression of being a warm and inviting nest for every visitor. With stunning ocean, city and river views featured in all of our Guest Rooms. Free to use Wi-Fi throughout the room, a complimentary in-room mini bar offering you daily refreshments and thoughtful in-room dining menu for superior comforts when staying with us. 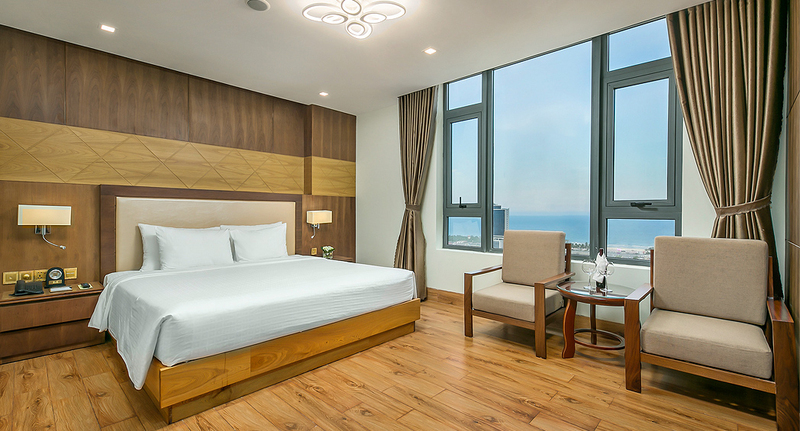 Enjoy the ocean breeze as you relax in this elegant room with a spacious king-sized bed. Perfect for a romantic trip away or a bit of self-indulgent luxury. 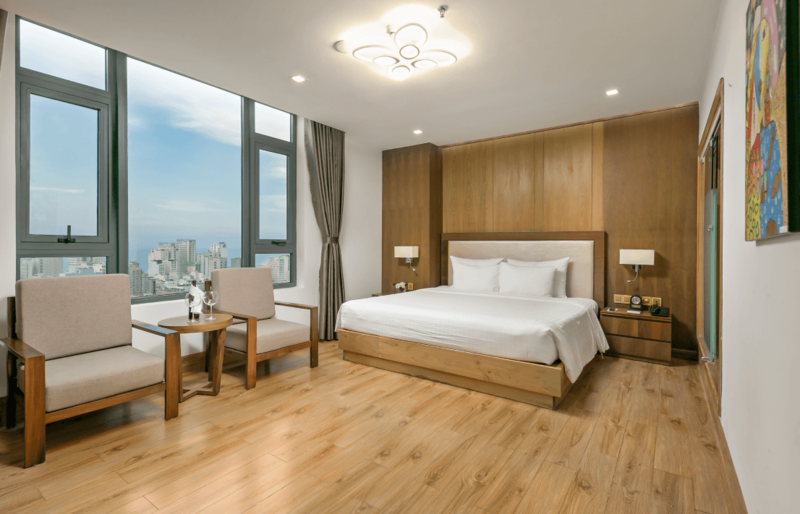 Experience superb city views and relax between sightseeings in this spacious comfortable room. Perfect for the vacationers or over-nighter looking for a bit of comfort. 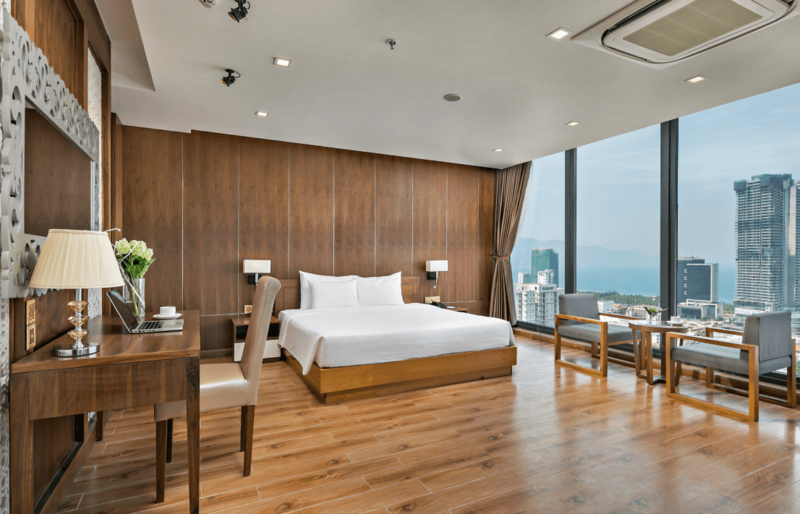 Soak up the vibrant city views with a large, contemporary styled room. 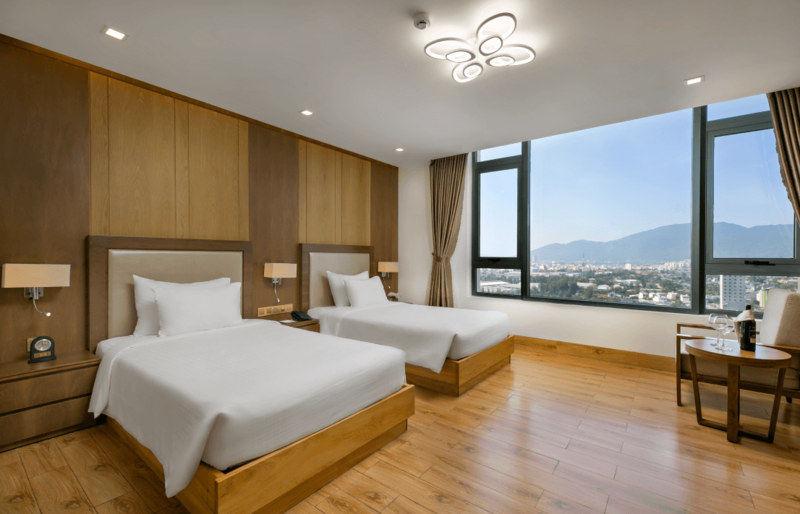 Relax in comfort away from the hustle bustle Da Nang with a queen sized bed ans a single bed, modern facilities and a designer bathtub. Relax in luxury in this very spacious, elegant executive king room, as you recline on the king-sized bed and soak in bathtub and enjoy the ocean breeze. Enjoy a home-away-from-home in this family sized presidential suite, featuring two bedrooms, two bathrooms, a well-furnished kitchen and a contemporary living room with high-tech facilities. Let us do the hard work for you as we serve you a platter of welcome drinks and tropical fruits upon arrivals. 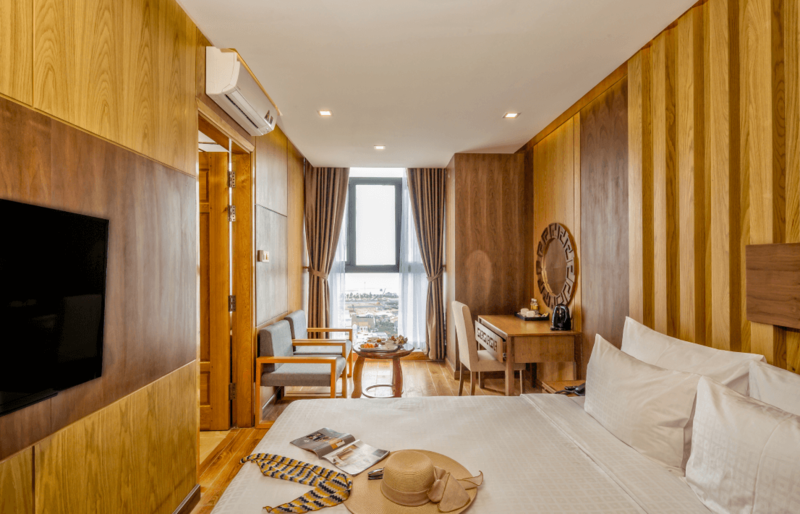 The ultimate in luxury and privacy, this special signature penthouse presents a 360-degree view of the sights of Da Nang. With a spacious living room, dining area, master bedroom and king-sized bed, this penthouse provides ample space and let us bring you welcome drinks upon arrival and enjoy complimentary in-room dining service.